Viz Media announced yesterday that they have the acquired the home entertainment, TV, streaming, DTO, and merchandising rights to the Vampire Knight anime. No further information was given as to when an R1 release might be available. Synopsys: Yuki's earliest memory is of a stormy night in winter, wherein she was attacked by a vampire... And then rescued by another. Now 10 years later, Yuki Cross, the adopted daughter of the headmaster of Cross Academy, has grown up and become a guardian of the vampire race, protecting her savior, Kaname, from discovery as he leads a group of vampires at the elite boarding school. But also at her side is Zero Kiryu, a childhood friend who’s hatred for the creatures that destroyed everything he held dear, is now determined never to trust them. This coexisting arrangement seems all well and good, but have the vampires truly renounced their murderous ways, or is there a darker truth behind their actions. Is Kaname's infatuation with Yuki the beginning of a forbidden romance, or is it something in her forgotten past that draws him to her. Because in this world of secrets, nothing is as it seems. And the price of misplaced trust may even be worse than death. Funimation announced at the New York Anime Festival over the weekend that they have picked up Initial D from Kodansha (which was formerly held by TokyoPop and had fallen out of print). Funi also picked up the X anime TV series and the X OVA (formerly held by Geneon and also out of print), both of which are based on the apocalyptic manga series from Clamp. Funimation indicated that it has acquired most of the various Initial D anime series, the 26-episode First Stage (1998), the 13-episode Second Stage (1999), the 2-hour anime movie Third Stage (2001), the 24-episode Fourth Stage (2004-2006), and the 2-episode OVA Initial D Extra Stage (2000). No mention was made of the 50-minute Initial D Battle Stage movie from 2002, the 1-hour Battle Stage 2 movie from 2007, or the 50-minute Extra Stage 2 OVA from 2008. Tokyopop had previously released the first two Initial D Stages here in North America and changed some of the characters names. Funimation’s Initial D releases will feature a new English cast, will be uncut, and will retain the original music tracks. Funimation will keep the old Geneon English dubs of the 50-minute X OVA from 2001 and the 24-episode X TV series for the re-release which will come next year. And Even More Upcoming Figures - Now Available for Pre-Order! I'll probably do these posts for every dozen or so new pre-order figures added to the site. :-) Here's what we've added today. Many more to come, so stay tuned! More New Upcoming Figures - Now Available for Pre-Order! Funi sent over a quick note today to let us know that the BD version of the first season of Tsubasa has been delayed a week and is now scheduled to street on November 17th. The regular economy DVD release (the Viridian set) is still set to street on November 10th. Synopsis: A true and noble heart holds much power, stronger than the hardest fist and mightier than the most potent magic. Four disparate travelers begin an epic journey... their goals different, their destiny the same. Along the way, the past will meet the future in the present. Of all the paths of every life, mingling in the dimension between dimensions where a foe has the face of an ally, and an ally the face of a monster. At the center of this heroic undertaking: Syaoran, a young man called upon to save his fated, the princess Sakura. Her memory has been shattered, the very essence of her soul sent adrift across the universe. Feathers float down on strange lands, torn asunder if only to prove the power of love. fellow travelers Kurogane and Fai, a warrior and a wizard, an epic quest begins. One of danger and mystery... The possibilities are endless. Episodes 1-26. Media Blasters December 2009 Releases - Now Available for Pre-Order! New Upcoming Figures - Now Available for Pre-Order! We'll get another big batch posted soon, so be sure to check back! Just a quick post to let everyone know that since about the 3rd week of August the flow of Anime trade in's to arrive here at the warehouse has picked up from their regular flow to pretty much a total avalanche, and we've been struggling a bit to keep up. Seriously, I've never seen anything like it! As of today we've processed and issued credits for everything that has arrived up through around Sept 10th, but lots of new TI boxes are hitting the dock daily so we will likely remain a couple days behind issuing credit codes until the volume lightens up a bit. Not to worry, just be patient and expect that it will take us a couple extra days than normal to get you your trade in credit code once your stuff arrives. Thanks in advance for your patience! Update: Also, while I'm on it, I wanted to mention to everyone that, while we can accept almost any licensed product for trade in credit as long as it's in excellent condition, PLEASE DO NOT send us any Hong Kong or Taiwanese bootleg DVD sets. These are pretty easy to spot because they are usually 'All Region' encoded and have Chinese writing on them, or have a Chinese language dub or subtitles. We cannot return these to you if you send them us, they must be destroyed (and we do indeed destroy them), so please don't include them in your trade in package unless you just want to get rid of them. Funi just let us know that the release of the Spice and Wolf Season 1 Complete Collection DVD Boxed Set has been delayed. The street date has been bumped back a month from Nov 24th to Dec 22nd, which still means it will be released before the holidays. We should still have it available for shipment during early December, well before Christmas. Synopsis: Kraft Lawrence, a 25 year old peddler travelling from town to town selling and buying various things to make a living during a period much like Europe in the Middle Ages. One night when stopped at the town of Pasroe, he finds in his wagon a 250 year old pagan wolf deity girl named Holo. She appears to be that of a 15 year old girl, except for a wolf tail and ears. She introduces herself as the town's goddess of harvest who has kept it blessed with good harvests of wheat for many years. Despite having the responsibility to watch over the town, she wants to go back to her homeland in the north called Yoitsu, she believes the people have already forsaken her anyway and that she has kept her promise to maintain the good harvests. She manages to bargain her way out of the village by making a deal with Lawrence to take her with him. As they travel, her wisdom helps increase his profits, but at the same time, her true nature draws unwanted attention from the church. Don't say it, I'm thinking it too. 8 years ago today I was in the shower when Jamie peaked in and said she saw on the news that a plane had crashed into one of the World Trade Center buildings. 10 minutes later I was standing in a towel in the living room watching CNN and saw the second plane crash live and I will never forget the sinking feeling I had because I knew we were under attack by someone and I could not imagine how many people were in those buildings or what else that day would have in store for the country. We rushed into the office (our old warehouse building were there was no TV) and sat and listened to the radio for over an hour while the pentagon got hit, and then later came the announcement that the first WTC building had collapsed. I got all our employees together and told them that we would not be filling any tickets that day, and that everyone needed to go home and make sure their friends and family were OK. We turned off the lights and locked up, and on our way home they announced on the radio that the second WTC building had collapsed, and that another plane had crashed in Pennsylvania. When we got home, we made a few calls to relatives and friends, and just hunkered down and watched the news for the rest of the day. It was one of the saddest days of my life. So today we remember. God bless you all. 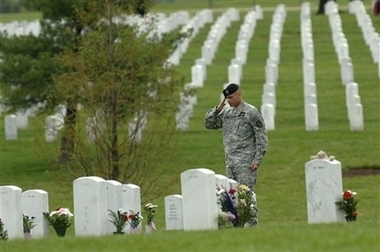 who was killed in the September 11, 2001 terrorist attack on the Pentagon. Funimation has announced they have reduced the MSRP by 25% on the Save Me! Lollipop Complete Collection DVD Boxed Set (Eps #1-12)(Item # FN-08430) from $39.98 to $29.98. Synopsis: Nina was just another girl who dreamed of finding a prince to defend her honor and protect her from harm. Little did she know, two such boys would fall from the sky! Zero and Ichii are sorcerers from another world taking part in a test. The only way to pass the curious quiz? Find the coveted Crystal Pearl! It's going to be tough - other examinees seek the jewel as well, and some will stop at nothing to capture the prize. Oh, and Nina ate the Crystal Pearl after mistaking it for a piece of candy! Ichii and Zero vow to protect her until the coveted bauble can be reclaimed. Nina's fantasy of a devoted guardian has come to life... but with danger at every turn, there's a chance this dream come true might end up a nightmare! The Anime Corner Store fulfillment center and HQ will be closed as of close of business today (5pm EST Thursday, Sept 3rd) through Monday Sept 7th for the Labor Day holiday. We'll be processing orders up through about 3-4 pm this afternoon for shipment today, and we'll be back on Tuesday the 8th to start processing the backlog. It will be fabulous to have 4 days off in a row (it will be the first mini vacation we've had this year), and I'm sure we'll regret it when we return on Tuesday (-_^) to a four foot tall stack of pending orders, so please be a little more patient than usual with us next week while we catch up. The newsletter will go out at it's regular time tomorrow afternoon, but we'll be off. Section 23 Films, the new company that has taken over distribution of ADV's former releases, has announced their November new release schedule, and it's a good one. In the continent of Polyphonica, Spirits materialized in the world, surviving on the music that is played by humans, and lives together with them. While the spirits doesn’t appear often, some spirits has enough power to materialize in human or animal forms and live together with humans. Dantists, who play special music called “Commandia,” are widely respected in this world. They also usually are in contract with powerful spirits. The story of Shinkyoku Sōkai Polyphonica revolves around the new Dantist, Phoron Tatara, the spirit that he made contract with, Corticarte Apa Lagranges, and their friends, in their daily life and work. Hikari Hanazono, the main character, has always been second to Kei Takishima. While Hikari considers Kei a rival and somewhat of a friend, Kei loves Hikari. Everyone knows this, but she is too dense to notice. Their wrestling loving fathers first introduced them to one another when they were 6 years old. Assuming that she was the best in wrestling, young Hikari challenged Kei to a wrestling match only to be thoroughly defeated by him. Ever since that fateful incident, Hikari swore to beat Kei in school grades, a sporting event - anything. To do this she has enrolled in the same school as Kei since elementary. Now she attends Hakusenkan, an ultra elite school, that costs her carpenter father a lot of money. Hikari and Kei are the top two students in the school, with Kei holding firmly to that number one position. Megami Sama creator, Kosuke Fujishima, is back with the second season of Taiho Schihauzo (You're Under Arrest). Same characters, two policewomen, the gentle Miyuki and the wild Natsumi teamed up together in Bokuto police station's traffic division. "A.D. Vision has announced that it is shutting down after transferring its assets to several other companies that will continue its operations. AEsir Holdings has acquired selected programming from ADV's film library along with other intellectual property. The SXION 23 (Section23 Films) home video distribution company will assume account servicing and distribution operations for AEsir's assets. Valkyrie Media Partners has acquire 100% of ADV's Anime Network television unit, while Seraphim Studios has ADV's Amusement Park Media production unit. Former ADV Films staffer Chris Oarr has notified ANN that several former staffers have been hired by SXION 23 and the other companies. Update: All of the new companies are officially based in Houston, the home of A.D. Vision. SXION 23's business filing was dated on May 20, while AEsir Holdings, Valkyrie Media Partners, and Seraphim Studios were filed eight days later on May 28. SXION 23, Valkyrie Media Partners, and Seraphim Studios share the same address in western Houston, 8 miles (13 kilometers) from A.D. Vision. Sentai Filmworks, another business entity for which A.D. Vision and Amusement Park Media handled distribution and production, is also located in western Houston." What is it about September? Anime companies always fail in September. Well folks, it's not like we didn't see this coming. We're digesting the info, I'll have more on this in a few hours. "We believe the actions we initiated and completed provided the same or more value to the Company's secured lender and its programming licensors while giving other key stakeholders such as employees and customers some potential value or the reasonable probability of realizing value." I'm not sure what that means. As of 3:pm EST today all e-mail addresses at ADV HQ are bouncing. I'm going to try to make a few calls later this afternoon and see if I can get anymore details. More later. UPDATE: Just got off the phone with Mike Baliff, formerly of ADV Films who is now heading up Sales and Marketing at the new company Section 23 Films. Section 23 has acquired all of ADV's former licenses and most of the staff (including Chris Oarr, Destiny, Michelle, everyone formerly at ADV that mattered), and is picking up distribution of all former ADV titles, so the DVD's will remain available and our orders will just be processed and filled by the new company. That means the changeover will be pretty much transparent to you guys. This includes pre-order items in the pipeline but not yet released. They will still be coming out, and the schedule will not change. We'll be updating our catalog over the next few days to reflect Section 23 as the new distributor of ADV's (former) titles. I also think it's worth mentioning that John Ledford is not part of the new company. Thanks very much to Mike for calling me personally to walk us through the changeover. Mike and I go back a long way, maybe 10 or 11 years, and I feel like ADV's former line of products could not have fallen into better hands. "So really, what was announced today? While the details will come out in the next few days, it's pretty obvious that it's not much more than a corporate restructuring that moves intellectual assets away from a dysfunctional corporate entity that has credit problems and hostile shareholders." That seems about right to me based on what we were told today, so he's pretty much on the mark. The only real question is who will be running things now and making decisions at the new companies - not that it really matters - but I'll have a few more feelings of my own regarding this in this weeks newsletter.